We’ve got a few great updates for you this month, including new board members and our very first online event! The board and I have been quieter than usual over the past several weeks because we have been hard at work on fleshing out what it really means to deliver on the IABC-LA “lite” plan that we shared in our last update. As a reminder, this “lite” plan puts a focus on sustainability and building a chapter that can deliver long term value to our membership. One area where we’re going “lite” is our member events. Instead of focusing solely on time-intensive in-person events, we are moving to online events as a way to address our geographically diverse membership. We’re excited about the potential of online events to help us engage with one other. Starting this month we’re kicking off our new “Learning Lounge” series of online member events. Several times a year, we’ll gather together from our homes and offices to learn from experts in our field, share best practices and build relationships with colleagues across Southern California. Register for free via GoToWebinar (IABC members only). We’ll be facilitating a conversation about the trends and issues that are on YOUR mind, as well as sharing ideas and best practices with one another. Social, mobile, gamification – we’ll go wherever the conversation takes us. It will be a great, fun way to learn something new, get inspired or just enjoy getting to meet other communication professionals. I’m thrilled to welcome several new members to our chapter board. Please join me in welcoming Nick, Leslie and Vinca. We do still have openings for additional volunteer board members, so if you’re interested in any of the positions below, please let me know. Together these board members bring exciting new viewpoints and vitally important fresh energy to build the new IABC-LA. We’re also always looking for event and membership volunteers to help with the month-to-month work of running the chapter. To those of you who have already contacted us with interest about volunteering – THANK YOU! As our new VP of Member Engagement, Vinca will be reaching out to you soon. If you’re interested in volunteering, please send us an email. 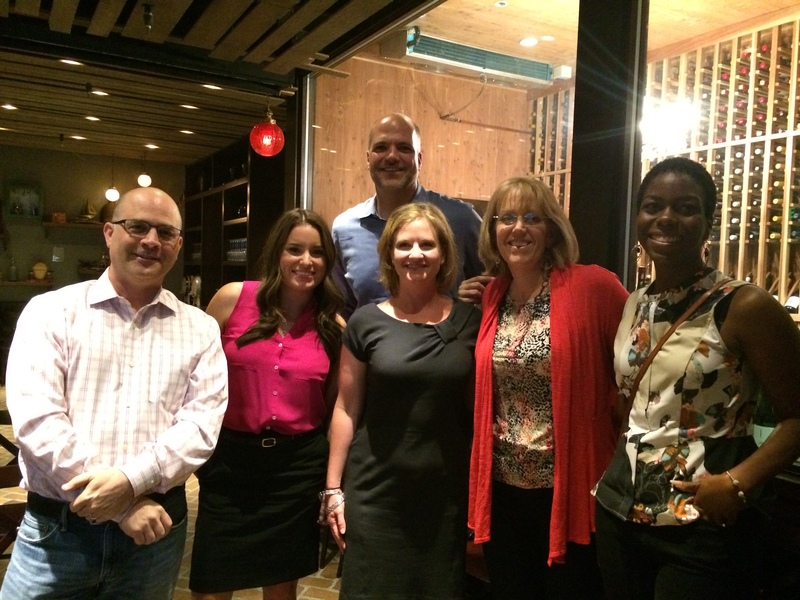 Thank you for your membership in IABC, and your involvement in the Los Angeles chapter. Don’t forget, please do join us for the Learning Lounge on November 18. After that, enjoy your holidays and we’ll look forward to seeing you in 2015! A little over a month ago I shared the state of our chapter and asked for help from our membership to fill some open positions. Despite being distracted by some truly lovely weather here in Los Angeles we got a fantastic response and I’m happy to be able to announce new additions to our board and some great progress on event planning. Leslie Dodson will be joining us as VP, Social Media and Nick Duggan has agreed to join our board as VP, Communications. I’m excited about the talent and skills each of them bring to these roles; and you’ll learn more about them in upcoming messages. Until then please join me in welcoming them to our board. Several IABC Los Angeles members also wrote in to volunteer to assist with local events. We look forward to developing these opportunities and will announce them both in email and on our website. This is great progress and a testament to the can-do spirit of our diverse membership. However, we can – and will – do more. We still have open board positions and would welcome anybody interested in volunteering in any capacity. I’d like to welcome everyone to our IABC Los Angeles 2014-2015 board year. I’m filled with excitement at both the opportunities and challenges our organization faces. But before I get ahead of myself, I really must thank our previous board members. Their support and dedication brought our membership together for some amazing events and great networking opportunities. Thank You! These are challenging times, both for our organization as well as our chapter. Professional organizations as a whole are struggling, and IABC is no different. For those of you who attended World Conference, or follow the discussions on LinkedIn the challenges at the international level are clear – as is the work being done to chart a path forward. In this message, however, I’d like to focus on the specific challenges faced by our chapter, as well as my plans to address them. Our chapter is an all-volunteer organization. Every chapter-run activity happens because someone steps up to make it happen. Because we are a volunteer-run organization, resources have always been in short supply. In the past, board volunteers have supplemented open volunteer roles and event schedules have been reduced as needed. This year is different. We have four unfilled board positions and many vacant volunteer opportunities. Put simply, we have just enough board members to cover the minimum commitments required to be a chapter within IABC. One way forward would be to continue on our current path and simply ask our smaller board to do even more to maintain the status-quo – hoping that we could eventually fill the positions and return to normal. I think this is short-sighted though, and ultimately will only make the problem worse. Given our lack of resources, our approach will be to significantly reduce or restructure our chapter activities and focus existing board resources on the long-term health of our chapter. Specifically, we will devote our major efforts to filling our open board and volunteer positions and developing a repeatable process for sustaining volunteerism within our chapter. Below you will find a chart describing a new “lite-mode” operating model for our chapter. The reductions and changes are targeted to maintain what we feel is important in each of these areas while making time for the long-term improvements the board must undertake. In-person events, only if a volunteer from the chapter is willing to lead the event. The chapter will cover standard costs. IABC International is undergoing a transformation and you can see the signs of this change in the newly improved Communication World as well as the newly formed IABC Academy. These changes may bring uncertainty but through it all IABC is still the premier organization for business communicators, and IABC Los Angeles continues to be a group of diverse storytellers doing incredible work for remarkable organizations. Your board is still dedicated to serving the membership of our chapter, and we sincerely believe that the changes I’ve outlined above will sustain us and build an even stronger chapter in the long term. We are, and will always be, your board – accountable to you and eager to hear your feedback. If you want to take part in transforming our organization, or suggest a different solution, please reach out to me or other board members. My contact information, along with the rest of our board, is available on our website. As communicators, we look to technology to make our jobs easier. We want tools that help us work more efficiently, speed things along, and ultimately, facilitate collaboration. We usually know what we want, what outcome we want to achieve, and that the tools are probably available. However, working with IT in a corporate environment to make it happen can be a different story all together. In the “old-school” way of thinking, IT professionals exist to fix problems. If you need their assistance with new technology, make a solid business case and present the business requirements necessary to help solve your communications challenge. 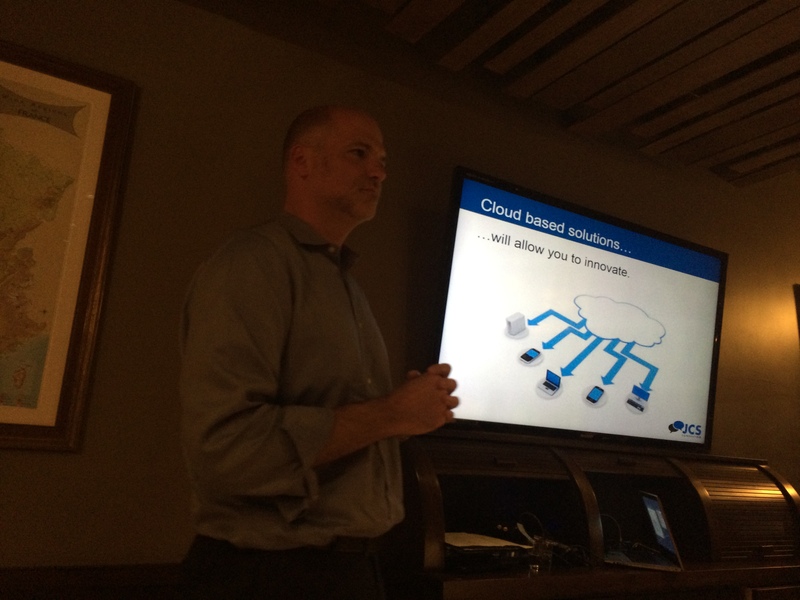 On-premise servers ARE, and will, move to cloud-based servers and organizations need to be ready for this change. The emergence of cloud-based social business platforms will change the way work gets done. Social business harnesses the trends in market today, helping to change the business models of yesterday and drive brands forward into the operating modes of tomorrow. Employees want to work with current and innovative technology tools, as well as the same social tools they use in their personal lives. Corporate communicators can test cloud-based solutions on a small group within the organization based on business requirements presented. The group’s success can then be used to make a business case for use of that tool/solution enterprise wide. This may help organizations using the on-premise server model where the lack of timely software updates often stall productivity. Bonus takeaway: one of the members recommended the book Grouped, by Paul Adams. The book is described as a useful resource for marketing and media practitioners on the subject of social networks. I recently worked on a large project with a client to move from a traditional Intranet to an employee communication and collaboration portal. My role focused on content development and content management tools/processes. During this IABC discussion, I was able to draw parallels between the two projects and look at where things might have been done differently to further enhance the outcome on the client’s project. I gained additional knowledge to offer as possible solutions on future client projects. As a communicator in a finance/IT organization, I was elated to attend the IABC ‘Bridging the Gap between IT and Comms’ event. The evening began in a lovely private “wine-cellar” type room of the Tin Roof Bistro, in Manhattan Beach, which included a variety of delectable eats from tasty cheeses to fruit, and let’s not forget the wine! I had a chance to network with some fellow communicators, and then I carefully selected a seat towards the front of the room before the presentation began- I just knew I would have many, many questions. I was immediately intrigued in the conversation ahead as the presenter, Alan Lewis, began his talk. Not only does Alan have an IT background, he was extremely engaging and I instantly felt confident that I could ask any question. In addition, the ‘open forum’ style of the event allowed for great conversation and experiences from an awesome group of like-minded communicators. Topics included: how an IT professional thinks, how to work best with IT, and how to utilize cloud based solutions in an organization. As expected, I had quite a few comments and inquiries– all of which were addressed beautifully. Since the event, I’ve begun to apply some of the lessons learned. For instance, I now know that building relationships with IT pros can really make life easier. I also understand the background of the ‘cloud’ and how to best utilize social solutions in the workplace. I even received a great tip on a social habits book called Grouped which I plan to indulge real soon. Overall, the presentation was excellent, Alan was very knowledgeable, and I especially enjoyed hearing different scenarios and perspectives from other attendees. I look forward to the next IABC event! “Communicators have evolved into facilitators of the conversation,” said McCasland. Robin also stated the take-notice fact that communicators, especially in the present glare of 24/7 media exposure, are now being viewed as professionals with highly skilled expertise in the same context doctors and lawyers are viewed professionally in respective careers. Before Robin pulled us deep into the GPS of exactly what’s happening with communications’ professional and global trends. McCasland invited us into a transparent GPS operations-view of IABC Headquarters. IABC is now 70 countries/9 regions strong! With highest membership in the U.S. and Canada, the organization is expanding even further into Canada, Europe, Australia, Asia, South America, Middle East and Russia! 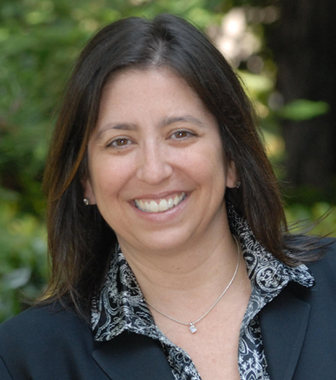 Robin worked closely with Ann Lazurus, Interim Executive Director of IABC, as well as several other “razor-focused” IABC execs dedicated to refreshing IABC and addressing multiple “thorny” issues. Task forces were created. Issues addressed include an extremely expensive headquarters’ lease to attracting new staff to eliminating or reducing extraordinary budget expenses. On global trends and the profession, Robin provided facts and figures in her Prezi presentation which are “waking up” other industries, viewing communications professionals as extremely necessary in today’s business world. See 2014 Edelman Trust Barometer. McCasland stated, “Running a communications department today is like running a political campaign.” Social media, workplace environment, clients’ new power in shaping engaged information…and are you ready to respond to a crisis in five minutes? In the current climate as a pro communicator, you need to be. Stories are now told in visual images to evoke an emotional response to get customers or employees to take action. Moving forward, IABC is looking at how the industry can create consistent standards in certification as a professional communicator both domestically and globally. The org is also exploring the value in creating courses and education for recent young college grads heading into business environments, yet without tools such as Ethics and Strategic Comms. Huge thanks to Robin McCasland, FRSA, who took on a tremendous amount of responsibility as IABC’s IEB Chair when many would have backed away…and for giving the L.A. Chapter incredibly valuable information to support the chapter and our careers. Big thanks to Vivien Hughes, Managing Director, Marketing, Communications & Media, and Chris Paik-Phong, Sr. Operations Manager, RGP (Resources Global Professionals), for allowing us to use the cool event space! She’s invited us to use it again at a later date. 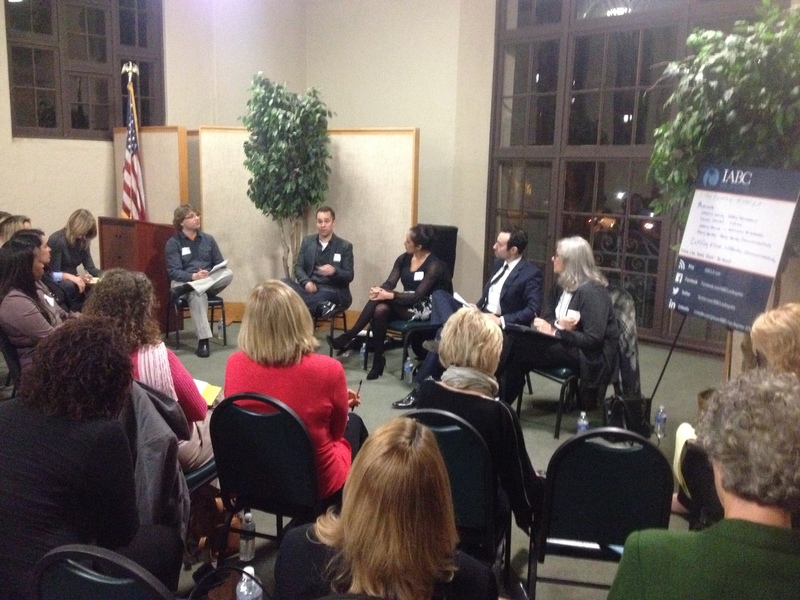 (Los Angeles) On Wednesday, February 26, 2014, IABC Los Angeles hosted a networking panel event “Cutting Edge Internal Communications” with internal comms experts at the South Pasadena Central Library in Pasadena. Moderated by President-Elect, Mike Spasoff, the internal comms panel provided everything from insights to the newest internal comms vehicles, what new tools add value and which tools get in the way, approaches to cross-generational challenges, tried-and-true skill sets, and the differences from internal comms compared to external marketing and PR. The panel consisted of Kristin Wong, Manager, Internal Communications, Global Corporate Communications at Avery Dennison, Jeremy Soule, Manager of Employee Communications at Activision Blizzard, Daniel Penton, Founder of ICPlan, and Betty Henry of Betty Henry Communications. 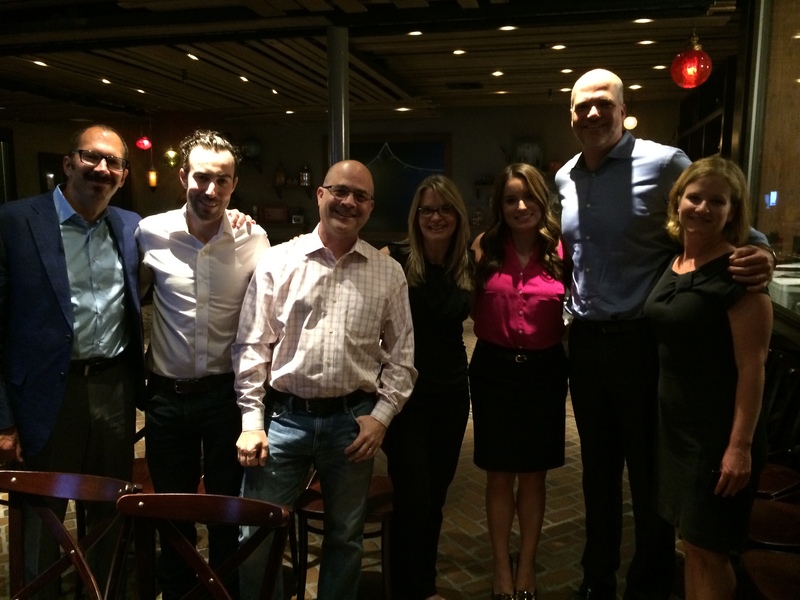 IABC Members, non-members and guests enjoyed a light dinner, pithy panel discussion and Q&A. Kicking off the question on what “stubborn” vehicles are still being used vs. what’s new, Jeremy Soule simply replied, “Email!” Regarding new tools, Jeremy emphasized a social collaboration platform is a must with a “fun, positive voice” to reflect the employees. Kristin Wong stated Avery Dennison made the decision “the email attachment was dead” and transformed the entire employee population to Google Docs for shared collaboration. Daniel Penton discussed Yammer, smart phones as engaging employee comms tools. Betty Henry emphasized connecting the company’s brand with internal tools, including entertaining or humorous ways to engage employees. On tools adding value or getting in the way: Kristin stated employees absorb information visually now in an anytime, anywhere platforms. Avery Dennison created a risky yet very rewarding video blog of the CEO who uses his own iPhone to capture himself all over the Avery Dennison global offices and shares the super short video blog posts with employees, and answers questions. Jeremy Soule says tools must reinforce Activision Blizzard’s “We make fun” motto. He shared his views on how extremely important trust-building is with employees, especially when there are tough announcements later. Kristin Wong shared on cultural shifts and a values-based company culture affecting Avery Dennison’s significant milestone building location change. Betty Henry discussed mapping out employees’ ages, education-levels, towards understanding the employee audience. She also discussed a fun case study engaging employees through an employee film festival in which over 50 hilarious films were submitted. Betty also mentioned employee audiences are more of a finite audience compared to external audiences. Internal comms approaches also included wi-fi, no company phones on desks, gaming, using enthusiastic employees as change champions, training bosses to walk the walk, and profiling departments separately vs. treating employee populations as one homogenous group. “Use your feet!” says Jeremy Soule. Face-to-face hallway meetings can be incredibly effective in gaining needs information, even at super-cool and gadgety Activision Blizzard! Daniel Penton emphasized internal communicators “must give internally what employees are exposed to externally.” In other words, same quality counts inside as outside messaging and visuals. The attendees’ Q&A produced some terrific follow-up discussion on different apps such as Crowd Campus, push notifications, MailChimp and more case studies. The audience got a big laugh at Betty Henry’s story on “Compliance. A Hotbed of Comedy” and enjoyed Kristin Wong’s recap of how a life-sized cardboard cut-out of the CEO was photographed all over the world and authentically connected employees from Ohio to employees in Asia. Huge, special thanks to Mike Spasoff for putting such an outstanding, informative panel together and the South Pasadena Library. Thanks to board members Dustin Alipour, Kyle Kearney, Gerhard Runken and Christie Ly. And thanks to Bill Severino for assisting in the set-up! 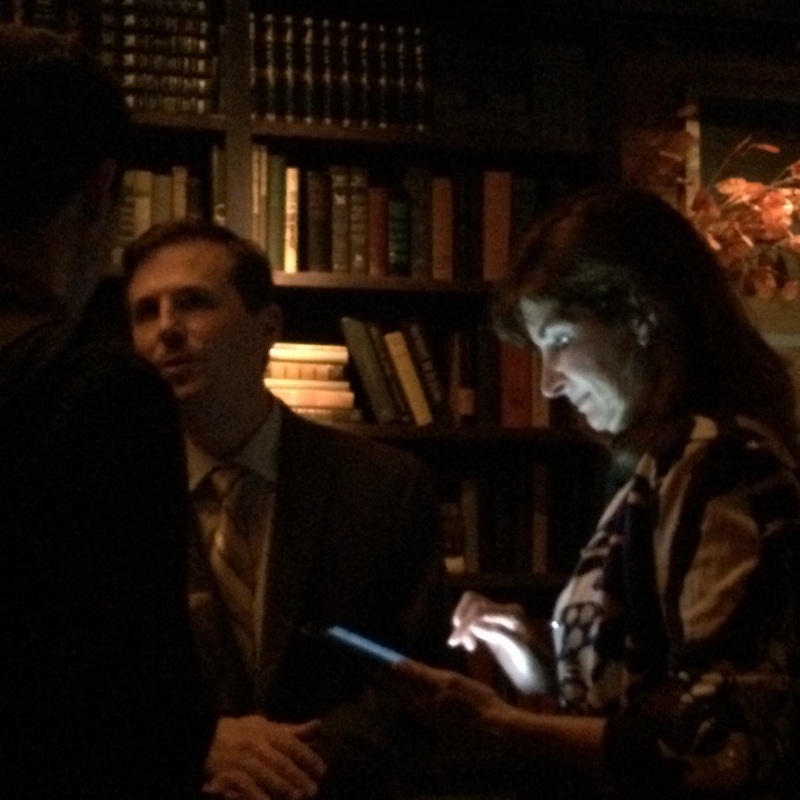 We recently held a Feedback meetup at the Library Bar in downtown Los Angeles. IABC members and other interested parties joined board members to socialize, share their thoughts and ask questions about our chapter. The feedback and discussion was wonderful and will greatly help your board plan upcoming events throughout 2014. If you missed the event though, don’t worry, there’s still a way to share your feedback! We’ve created a survey monkey that will allow you all to give us your feedback. Click the link below and let us know what you think! 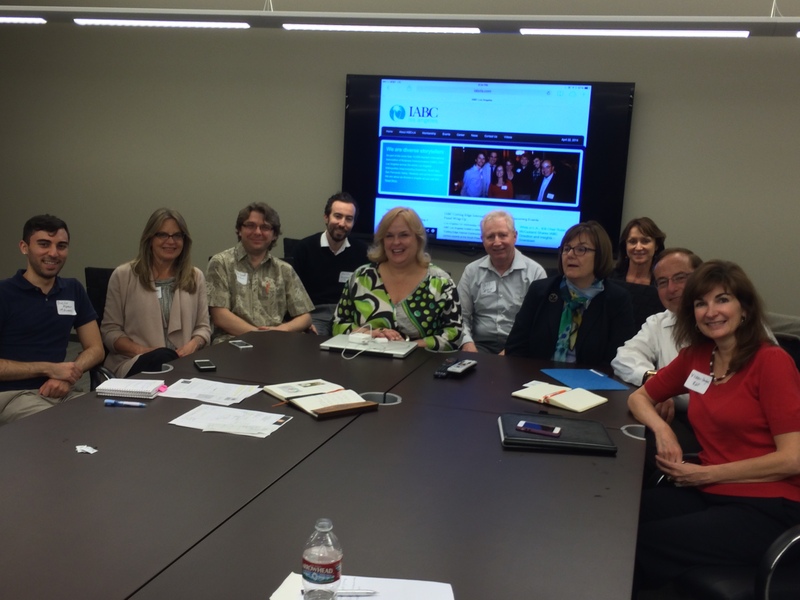 On Tuesday, November 12th, IABC Los Angeles partnered with AMA Los Angeles to host a multigenerational workplace communications panel. “For the first time in history, workplace demographics span 4 generations, meaning 20 year old new hires find themselves working side by side with colleagues 50 years older.” – Trinet HR service. Having exhausted traditional employment hunting tactics, O’Shaughnessy cut her own path, creating demand for positions that weren’t officially open. The approach eventually worked. O’Shaughnessy also launched a travel app, Tripscope ,for which she recently won Social Media Week’s $100k StartUp demo competition. “If circumstances don’t exist, you need to create them,” said O’Shaughnessy. Online video guru Ustream Sales Director Sean McGill agreed with O’Shaughnessy, likening today’s millennial work approach to the 2000/2001 dot com bubble. The Pollack PR Marketing Group President and author IGen, Stefan Pollack pointing out that Millennials may be quick to skip jobs for a salary bump. O’Shaughnessy disagreed, citing college debt loads and a tight job market. The panel discussed workplace nuances such as professional clothing attire, office vs. home work hours and corporate hierarchy. O’Shaughnessy said she might be 30 minutes late, but stays 2 hours after work. Regardless of whether you’re a Boomer or Gen X, Pollack said their employees are expected to pull their weight equally. “Can millennials be drivers, or do they need to be pulled along?” Live tweeted IABC guest Richard Romero. Pollack and O’Shaughnessy disagreed about Boomers texting and emailing clients at 1am if necessary. Pollack made it clear that iGen doesn’t have a lock on this 24/7 practice. Former public policy advisor Craig Rosenkranz described Government millennial work life as a different ball game. Positioning towards his UCLA Anderson School marketing MBA, Rosenkranz looks forward to the private sector’s opportunities & challenges. On Goverment workers’ multigenerational standards, a couple audience members spoke up, describing baby boomer culture vs. Gen X and Gen Y expectations. The panel agreed with Pollack’s observation, outlined in his book, IGen; Disrupted, that marketers and employers need to gain millennials’ trust by listening. 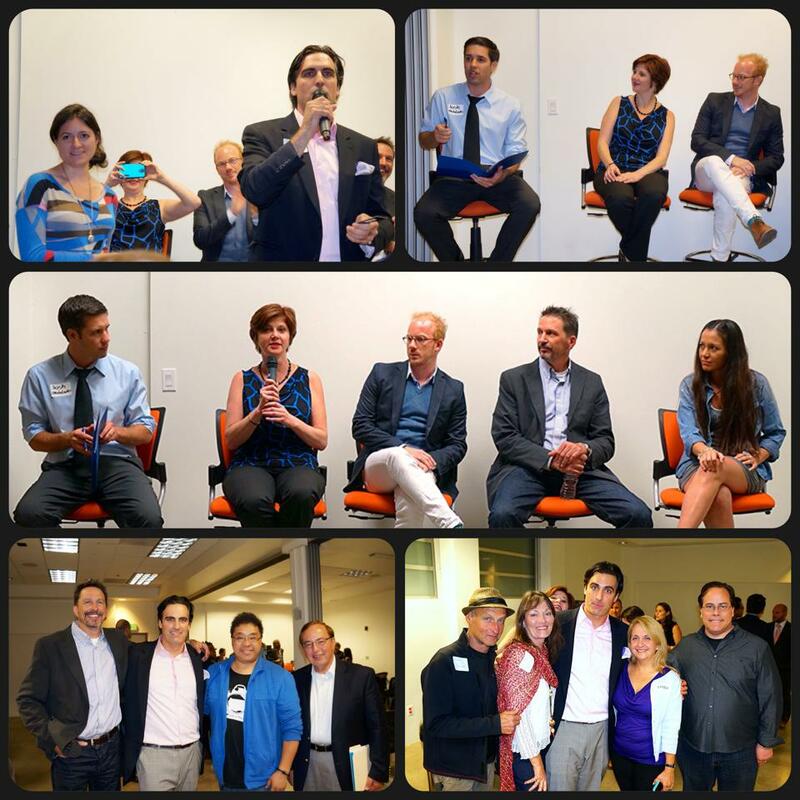 For more event details, follow IABC Los Angeles on facebook and Twitter. 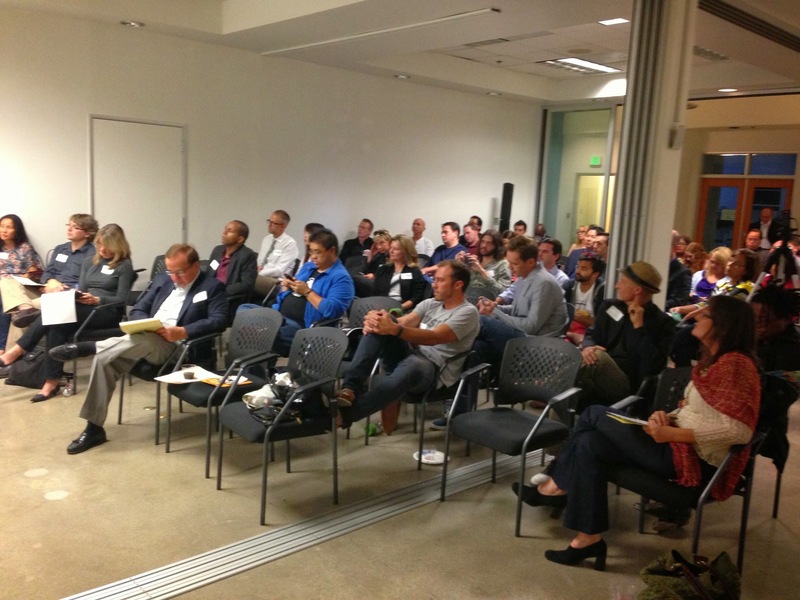 Special thanks, IABCLA volunteers, panelists, board of directors, AMA Los Angeles & Chipotle Burritos. (Los Angeles) On Tuesday, October 8th, 2013, IABC Los Angeles hosted a networking media panel event with Media Leaders at the ROC Center Santa Monica. Moderated by Josh Ochs, the integrated communications panel covered everything from effective content creation, industry blunders/lessons learned, content marketing trends to leveraging social media tools. The panel comprised of Chris Bechtel, Chief Marketing Officer, Make Good Social, Debra Eckerling, Goal Coach,Guided Goals and WriteOnLine, Priscilla Vento, Founder & CEO, 30 Miles North and James Aldous, Communications Director, OpenX. 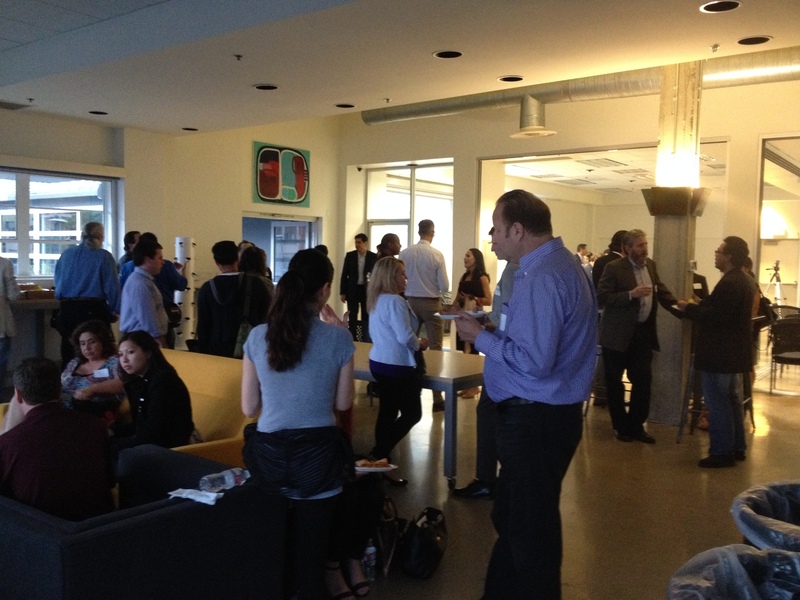 IABC members and guests mingled with a diverse mix of West LA StartUps, Investors, Marketing/PR & corporate communications pros, social media managers, web developers, entertainment folks, gaming peeps, SEO gurus and much more. Kicking off the panel, Josh Ochs asked the panel about leveraging online platforms to gain brand momentum, for which panelists cited a variety of tactics. From hiring guest bloggers to managing editorial calendars, Debra Eckerling shared blogging tips, workflow tools and best practices. On driving brand visibility, “get your video into the hands of relevant influencers,” said YouTube guru Priscilla Vento of 30 Mile North. Chris Bechtel and James Aldous agreed Facebook is more consumer driven, and less business to business orientated. Panelists agreed. Aldous cited online chat tool Quora and Linkedin. “Understanding where your audience lives is key,” said Bechtel. 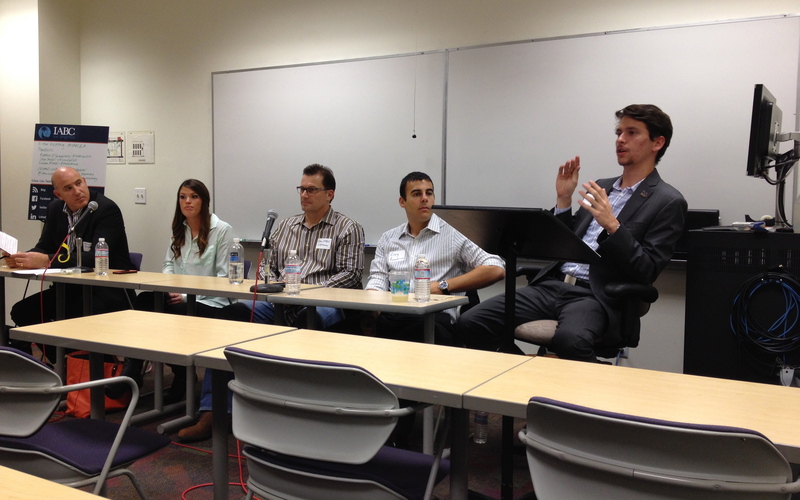 On integrated communications, the panel discussed the changing tides of earned-owned-paid-evolved media silos. One IABC member asked where the panel thinks social media departments “live” these days. Vento said their social media manager functions separately from their media relations. Panelists agreed. In closing, panelists each shared a unique personal story. Turns out Priscilla Vento is an avid skateboarder, Aldous a non-fiction writer, Eckerling a karate black belt with stripe, and my personal favorite…Bechtel, a Bay Area rap video production founder (no longer). “Once clients who paid all in cash wanted their money back, I left town,” said Bechtel. The audience laughed. Special thanks, IABC-LA volunteers Stephanie Belsky, Linda Arres and event sponsor Angel Launch. by Warner Boutin, VP, Communications – IABC Los Angeles. Photo credits by Calvin Lee. Sign of the times – In light of the pivotal Washington Post acquisition, and Newsweek’s shuttered print operations, ex-print journalists uncover opportunities as brand journalists. With search & social, companies are needing to stay current by producing content, content & content. Social Media & Investor Relations – After the SEC’s social media guidance changes, media agency Comm Pro Biz’s interviews top Investor Relations gurus, newswire CEOs & trading exchange bosses. How does the SEC’s SM revised guidance change today’s corporate communications & investor relations practices? View this recorded webinar. Favorite IABC Los Angeles September tweet – IABC Los Angeles tweeted an IABC Chicago webinar, which garnered a great thread of conversations, RTs and new followers.